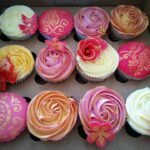 Colours, decorations and flavours are fully customisable. 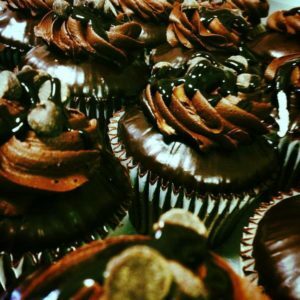 Moist and fluffy chocolate sponge covered in chocolate ganache filling, topped with chocolate buttercream and chocolate drizzle. 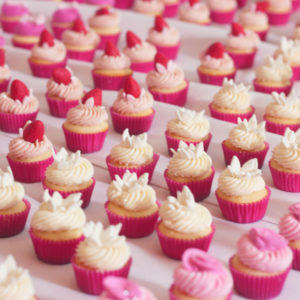 Luxury sample wedding cupcake box. 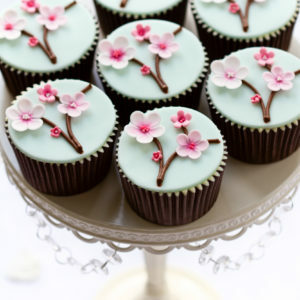 Cupcakes with cherry blossom decorations. 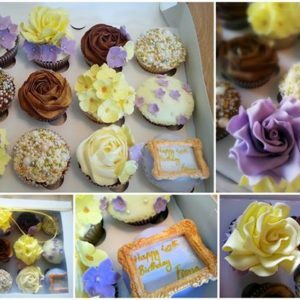 Flavour, decorations and colours are fully customisable. 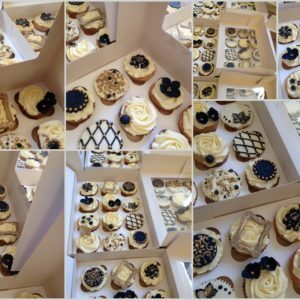 Corporate cupcakes in white cases can be made with your logo printed on edible rice paper or rice paper attached to fondant for an extra touch. 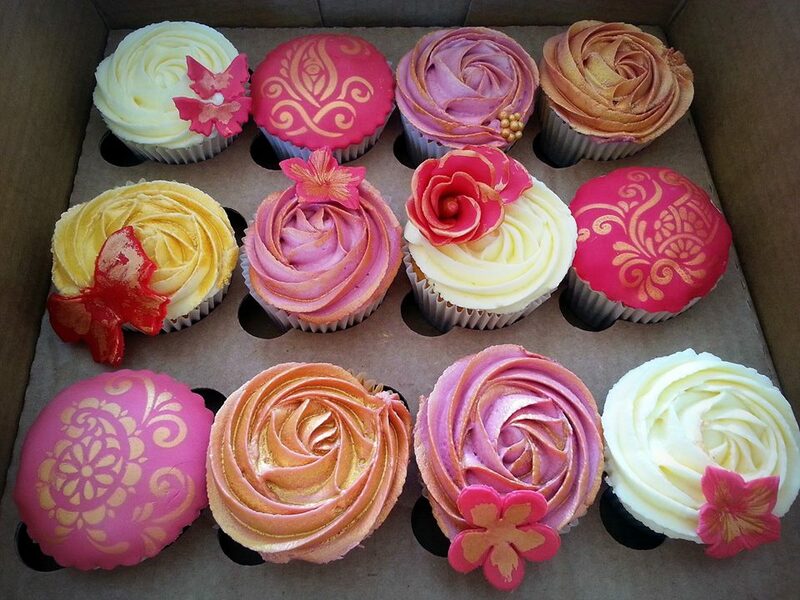 Other decoration options are available. 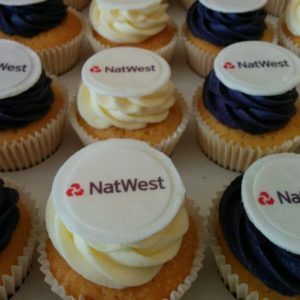 Price per 100 cupcake with logos printed on rice paper: £140 (an extra £20 will be charged for rice paper attached to fondant). 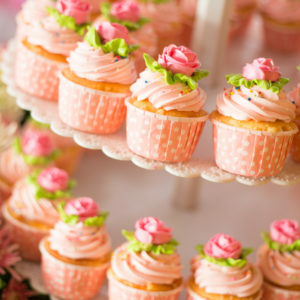 Bulk order for luxury wedding cupcakes.